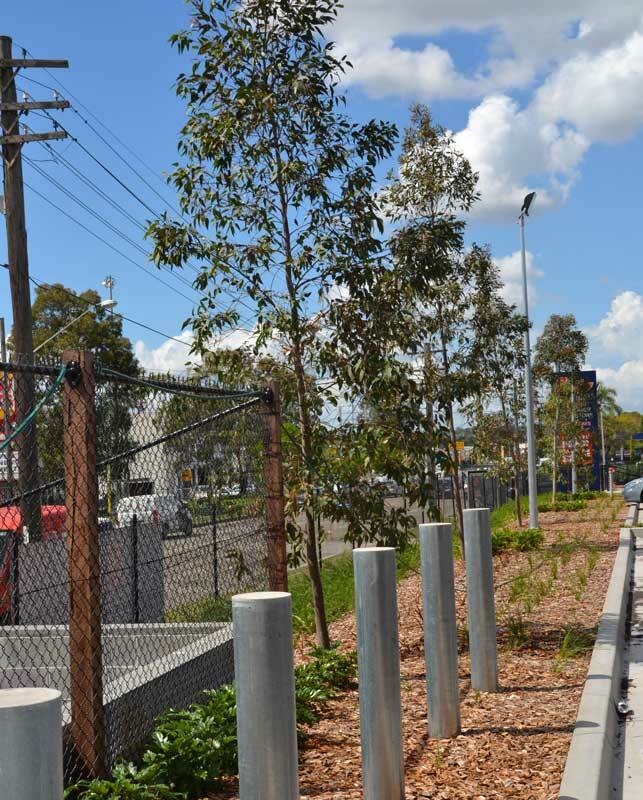 With the completion of the new building for the Amart Supercentre in the heart of Bankstown’s bustling retail district, the local Council scheduled works to improve the ambience of the area, concentrating on the landscaping and street-scaping around new and upgraded structures such as the Amart Supercenter. 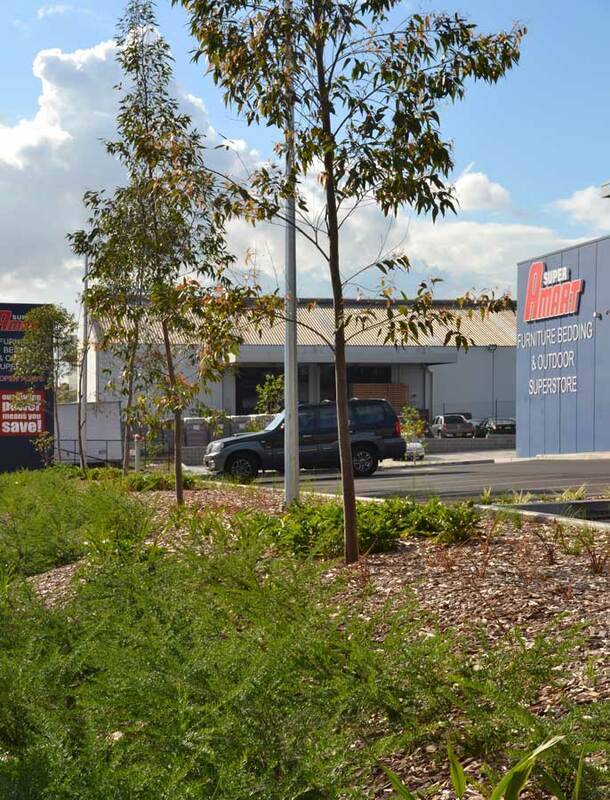 Grand Landscape Services were awarded the commercial landscaping package by Builder, Taylor Constructions in late 2013. The landscaping construction commenced with the preparation of the garden beds, removal of the poor rubbish soil and reinstating quality garden mix soil. 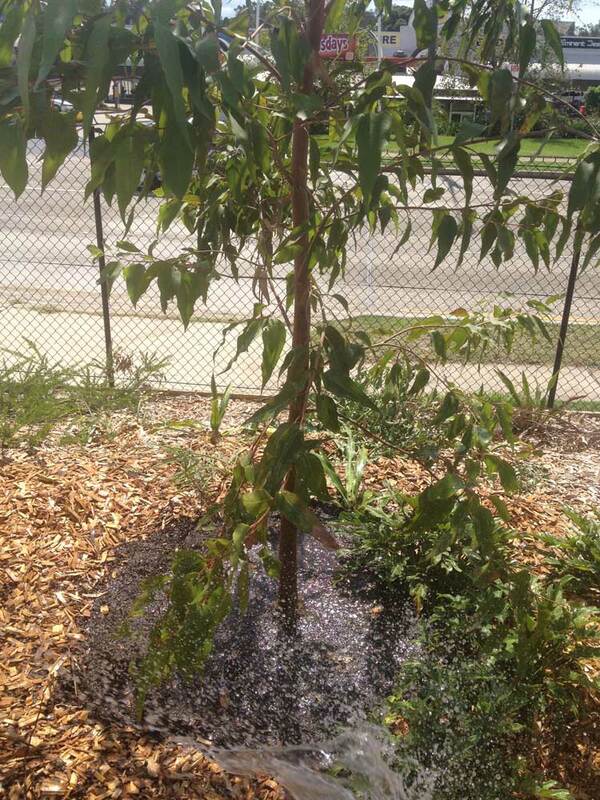 After consultation with the Council, a selection of low maintenance plants and shrubs were selected. 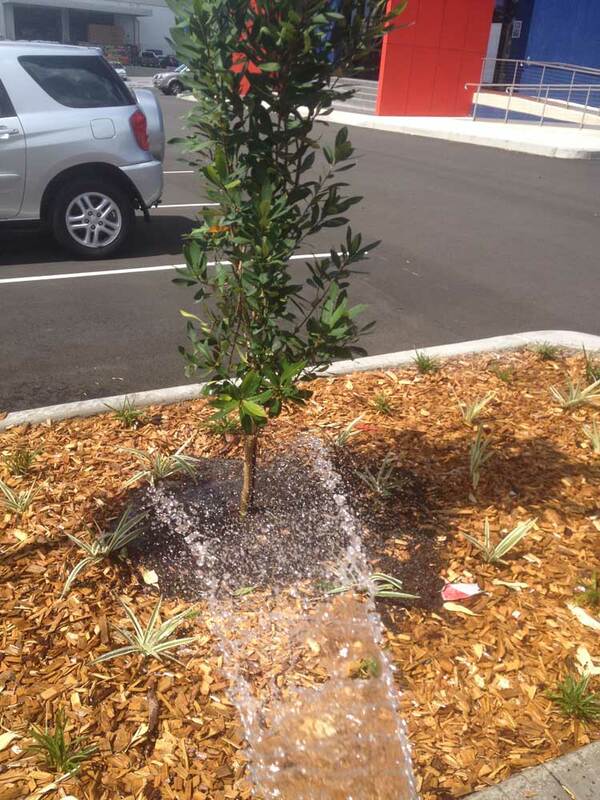 The vegetation was planted in accordance with Grand Landscape Services recommended layout plan and covered with a layer of woodchip to further reduce water loss and suppress weed growth. 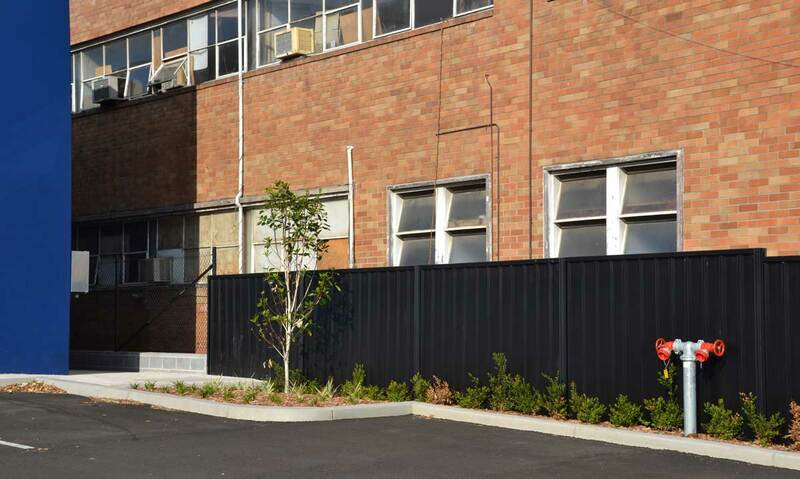 In all, the landscaping was completed well within the specified required time as well as under budget. Both Council and Builder were pleased with the final appearance.